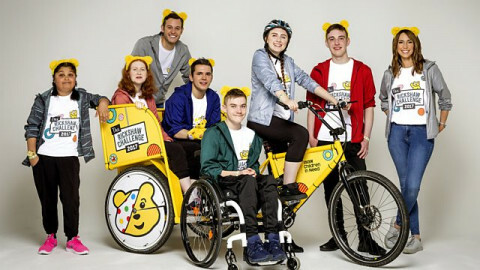 The One Show’s seventh annual BBC Children In Need Rickshaw Challenge kicks off today, with a team of six teenage riders aiming to pedal 500 miles from London to Glasgow, and as always you can follow the entire journey live with ViewRanger's Tracker Map. Starting at the One Show studio in London, Team Rickshaw will work their way north over the next nine days with stop-offs at Banbury, Cannock, Salford, Morecambe, Penrith, Hawick and Edinburgh before crossing the finish line in Glasgow during BBC Children In Need’s live 2017 Appeal Show on Friday November 17th. The new team of six riders – who have all been supported by past BBC Children In Need projects – will battle steep hills and plenty of challenging weather along the way, and once more they’ll have One Show presenter Matt Baker cycling alongside them to offer support on the road. 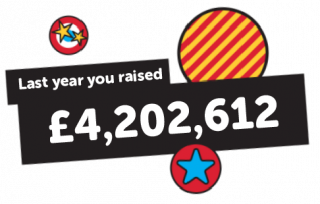 The Rickshaw Challenge has raised over £16 million since it started in 2011, and ViewRanger has supported each challenge by providing a Live Tracker Map that updates the team’s progress as they move. So if you want to turn up and cheer them on or simply donate to an amazing cause, click this link to find out where in the UK they are.